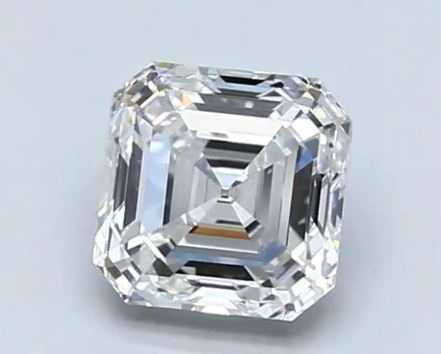 The Asscher cut diamond has 72 facets, which are larger and wider-set—three rows on top and three on the bottom. The elegant step cut draws your eye into the center of the stone, both captivating and mesmerizing anyone who catches its gaze with its flashes. 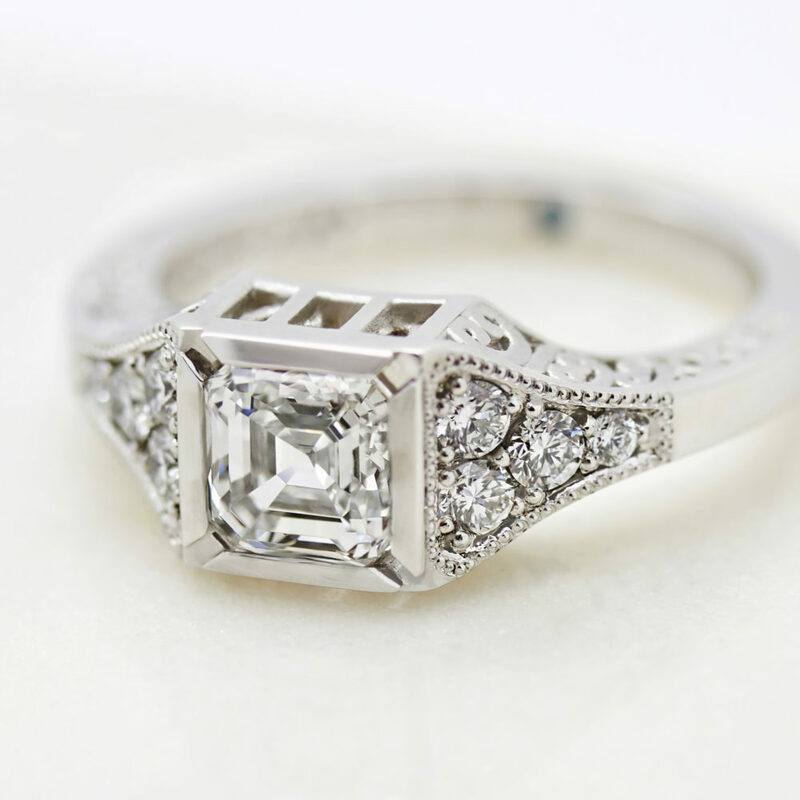 You’ll frequently see Asscher diamonds set in vintage jewelry with details featuring geometric shapes or filigree work. 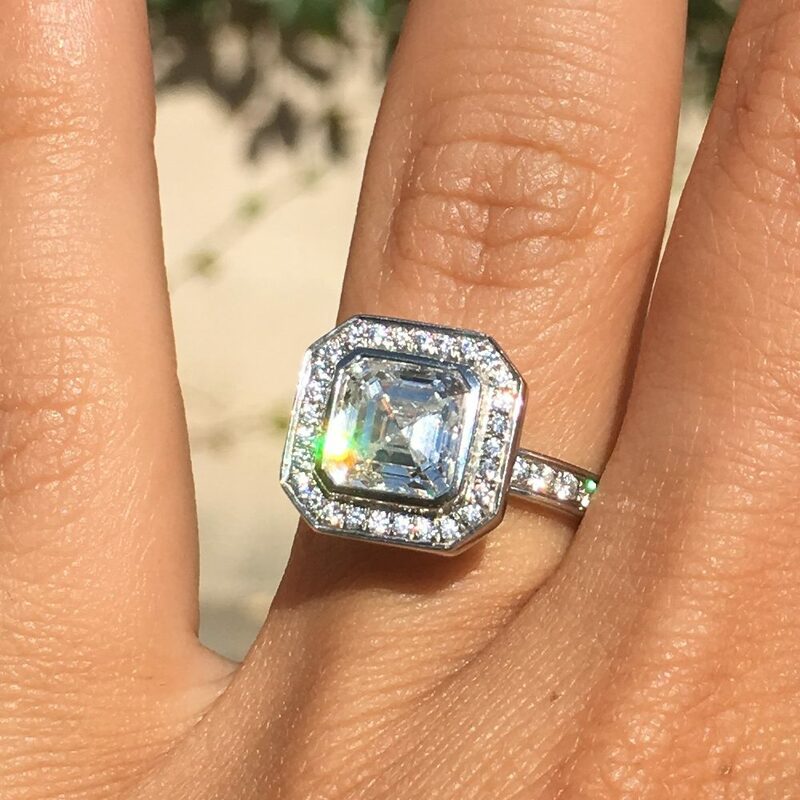 Give a nod to the past by using an Asscher in an antique setting or juxtapose its old-world quality with a more contemporary design. 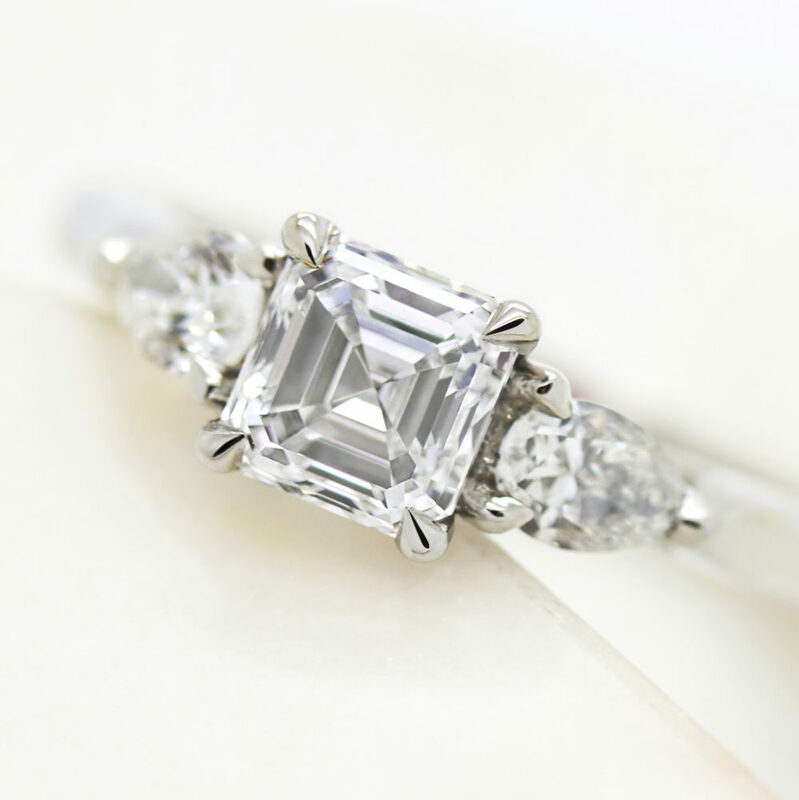 Due to its open, step-like facets, it’s best to optimize on clarity when choosing an Asscher. A clarity grade of VS2 (very-slightly included) and above will ensure a completely eye clean appearance. What color should I choose for an Asscher cut diamond? Evaluating color in Asscher cut diamonds is entirely dependent on the preference of its buyer or wearer. Customers may prefer the warmer tones of color grades G-H to the icy cool tones of color grades D-F. The truth is, the difference between these two color grade ranges is difficult to perceive, especially to the naked eye. However, due to the large, open facet structure of an Asscher cut, any color present in the diamond will be more visible. The color chart below serves as a general guideline when it comes to choosing a color grade for Asscher cut diamonds. Diamond clarity grade is dependent on personal preference. When diamonds are formed deep in the earth, they develop clarity characteristics–slight irregularities visible under 10x magnification. Depending on the size, quantity, placement, tone or color of these clarity characteristics, they may or may not be visible to the naked eye. This is one of the reasons why a truly flawless diamond is so rare. 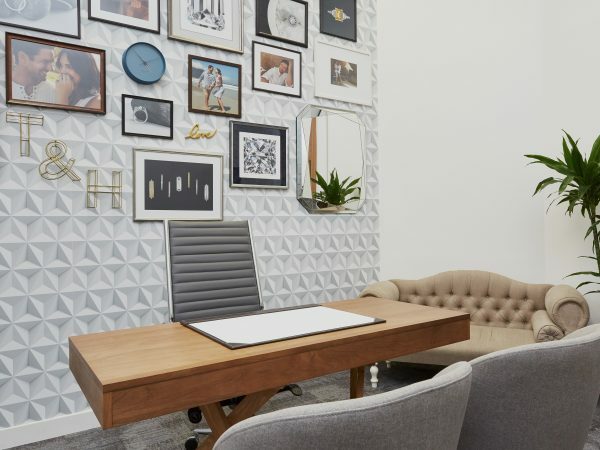 Because of this, we recommend considering clarity first when choosing an Asscher cut diamond, before selecting your color grade and carat weight.